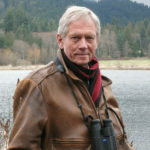 Born in Toronto, with a degree in geography from the University of Toronto, Robert Bateman taught high school for 20 years, including two years in Nigeria. He travelled around the world in 1957-58, increasing his appreciation of cultural and natural heritage. Since leaving teaching in 1976 to paint full-time, he has travelled widely with his artist/conservationist wife Birgit to many remote natural areas. The family moved to Salt Spring Island in 1985. Bateman has been a keen artist and naturalist from his early days. He has always painted wildlife and nature, beginning with a representational style, moving through impressionism and cubism to abstract expressionism. In his early thirties he moved back to realism as a more suitable way to express the particularity of the planet. It is this style that has made him one of the foremost artists depicting the world of nature. In the ’70s and early ’80s, Bateman’s work began to receive critical acclaim and to attract an enormous following. His work is in many public and private collections, and several art museums, including the National Museum of Wildlife Art in Jackson Hole, WY. Bateman has had many one-man museum shows throughout North America, including an exhibition at the Smithsonian Institution in Washington, DC. The retrospective show, The Art of Robert Bateman, toured Canada and the USA for two years, and a one-man show toured four cities in Russia. Bateman’s art reflects his commitment to ecology and preservation. Since the early 1960’s, he has been an active member of naturalist and conservation organizations, now on a global scale. He has become a spokesman for many environmental and preservation issues and has used his artwork and limited edition prints in fund-raising efforts that have provided millions of dollars for these worthy causes. Books about his life and art have had sales of over 1,000,000 copies. His latest book, Robert Bateman’s Canada has just been released in October 2017. He has also been the subject of several films and television programs. His honours, awards and honorary doctorates are numerous and include Officer of the Order of Canada. It is in honour of Bateman’s contribution to art, teaching and conservation that one public and two secondary schools have been named after him; as well, he has been awarded 14 honorary doctorates. Many of his early works are on display at The Robert Bateman Centre on the Inner Harbour of Victoria, BC. It is a place where insights into his life and philosophies can be explored. He is associated in the public mind with pro-nature education by his work, writings and public speaking. 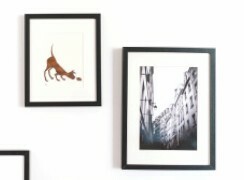 He is a natural and gregarious teacher and his artwork is vastly instructive.